Or in other words, that great big thing on our coffee table. It works out at just under 28" long and 10" tall on its stand. It's 1/35 scale so it'll go with your armour collection. Did they have tanks at Tulagi? That's dealt with the size issue, what about the kit? Well, I've been all month just putting it together. 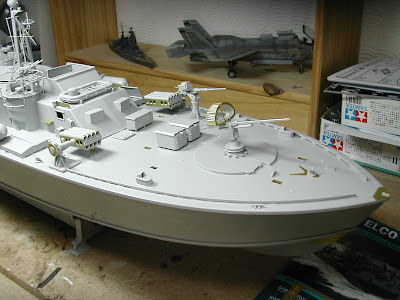 It comprises: four x .50 machine guns, one 20mm Oerlikon cannon, one 37mm deck gun, two x posable rocket launchers, four x 21" torpedoes and one 40mm Bofors AA cannon. It took as long to type as it did to build. I am not going to give out tips on building this kit as it practically builds itself. The reference booklet that accompanies it contains some very useful photos of PT596. From what I can see, the kit wants for nothing. A small set of very useable photo-etch parts are also provided and make for some lovely finishing touches around the model. The mast/radar array is superb, as are the machine gun positions. The torpedoes have nice surface detail and photo-etched fins. Their release brackets are also very convincing. The assembly and build-up of the boat is nearly at an end, and what fun it has been. 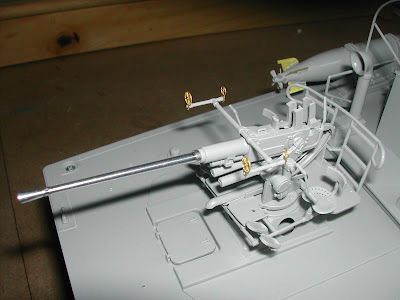 Good detail and parts fit, and a pleasure to see the model take shape. The next stage of course is the painting. This is the real fun, for me. 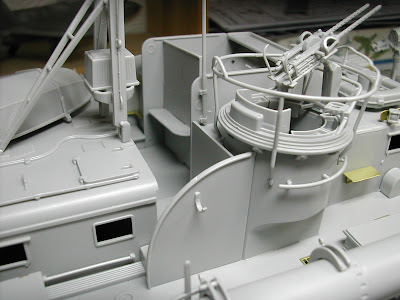 Unlike a 1/48 fighter, a 1/35 PT boat will need to be carefully planned and each section completed in order. More photos to come. I just bought one of these at a flea market but it didn't have any assembly instructions. Do you know anywhere I can get a copy from? 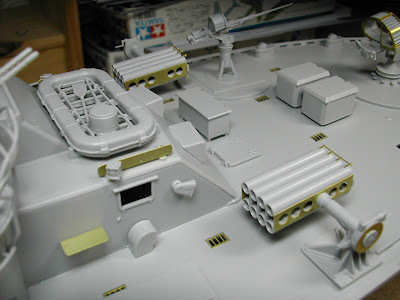 You can approach The Hobby Company on http://www.hobbyco.net/scripts/cgiip.exe/WService=WSHobby/sys/ecommlogin.p, who are the main importers, and they might pass a copy on. 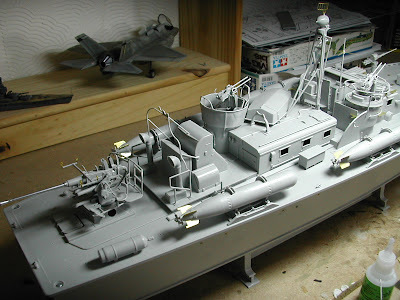 Or you can approach Italeri direct, I've always found the model companies very helpful with supplying stuff like this. Contact Italeri on italeri@italeri.com. Best of luck. No joy with Italeri. They just pointed me at the importers. In the end I acquired a scanned set from a very helpful chap selling the kit on ebay. Any chance I could snag a copy?